Our six theatre complex caters for inpatients requiring an overnight or longer stay and for some day surgery. Patients requiring an overnight stay are admitted into the Same Day Admissions Unit on the day of surgery, and after surgery are transferred to the ward for ongoing care. Day Stay patients are either admitted into our Same Day Admissions Unit or at the Oropi Day Surgery unit, will have their surgery or procedure, and then transfer to our Day Stay area, returning home on the same day. A support person will need to be available to drive the patient home. You will be advised by text, email or phone call regarding which entrance to arrive at for admission. 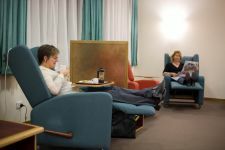 A visit to hospital can be daunting, so it is our intention to make a visit to us as stress free as possible. We help our patients, friends and family through the hospital stay with our warm friendly atmosphere, high standards and professionalism. Your surgeon is able to arrange for you or a carer to stay with your child while they are in hospital if this is required. 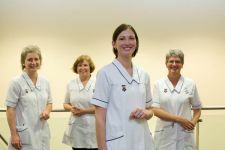 During a stay in Grace our team of specialist nurses will provide quality nursing care. Your medical care, however, is the sole responsibility of your chosen specialist. 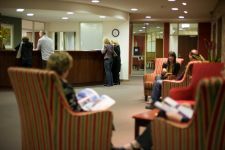 Grace does not employ doctors, but we expect your surgeon to visit regularly during your stay. Should the need arise, your surgeon is also expected to be available by telephone and to attend the hospital to provide further prompt specialist assessment or additional medical treatment. In the case of a medical emergency your surgeon will be called and you may be transferred to another hospital.